Smoke Hole Caverns & Log Cabins Resort was recently featured by TV 3 Winchester. 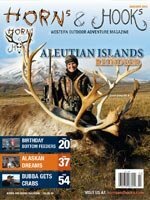 Rachelle Hedrick was featured in the March/April 2013 issue of Horns & Hooks, in an all girls reindeer hunt in the Aleutian Islands of Alaska. Smoke Hole Outfitters, owned by our Josh Hedrick, was recognized for innovative agritourism marketing by the state Department of Agriculture. 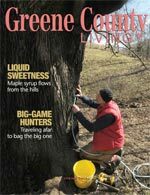 Smoke Hole Outfitters placed second in the category of 'Best Photo Depicting West Virginia Agritourism," and was featured on the front page of The Pendleton Times. Read the full article here, courtesy of The Pendleton Times. Our own, Cabelas Pro Staff member, Rachelle Humble Hedrick was the world title holder for largest red stag killed by a woman, from 2010-2012. She is currently ranked 16th overall by Safari Club International for taking a red stag with a bow and arrow. Smoke Hole Outfitters was the Recipient of Woods & Waters Magazine’s Highest Ranking For An Adventure Destination! 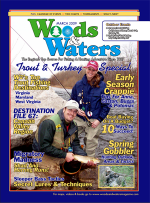 Josh and Rachelle Hedrick grace the cover of Woods and Waters Magazine. 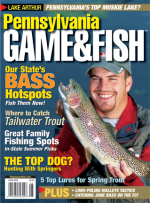 Smoke Hole Resort’s Outfitter, our own Josh Hedrick, graces the cover of Game & Fish.